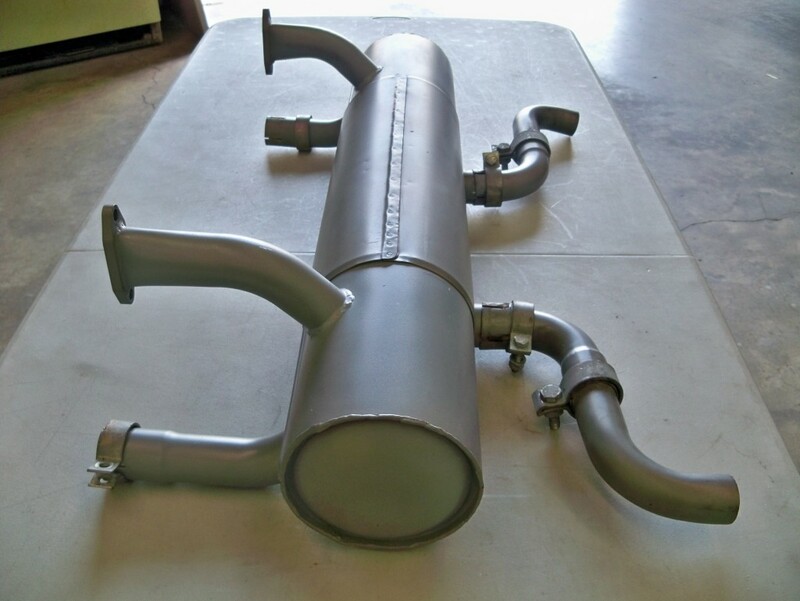 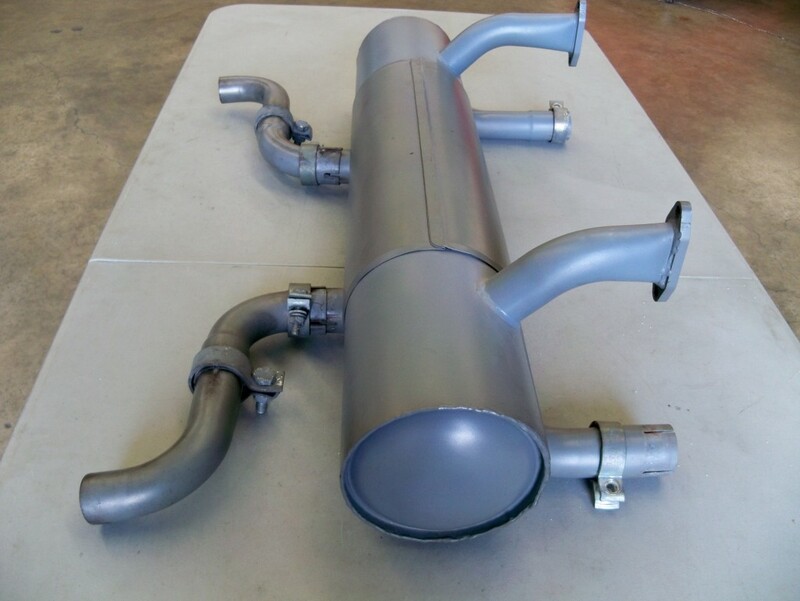 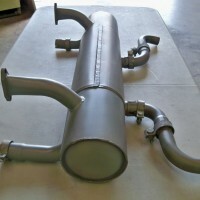 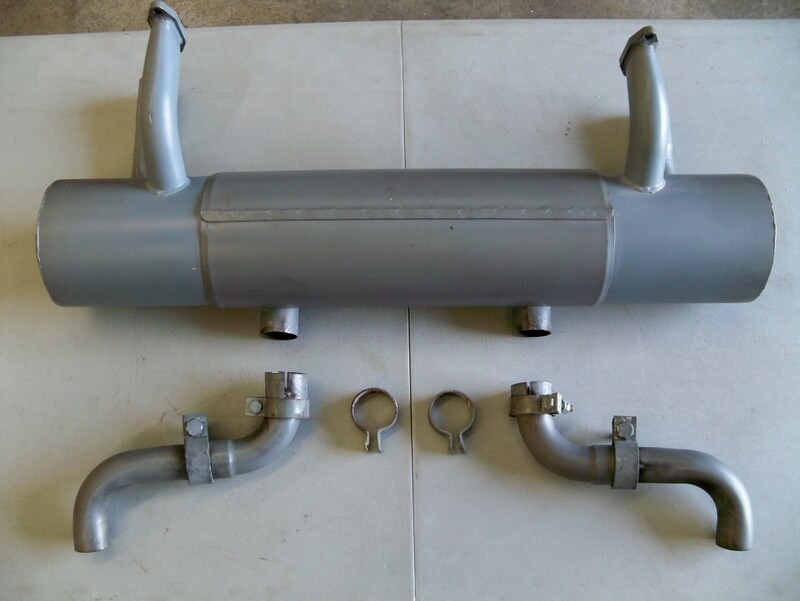 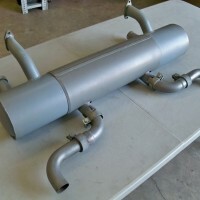 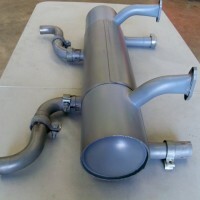 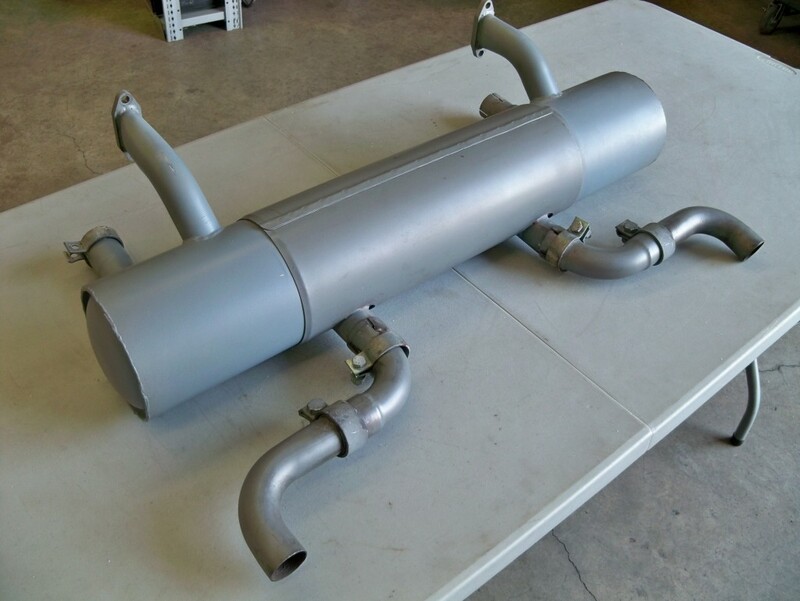 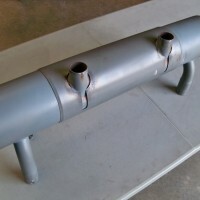 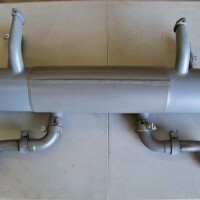 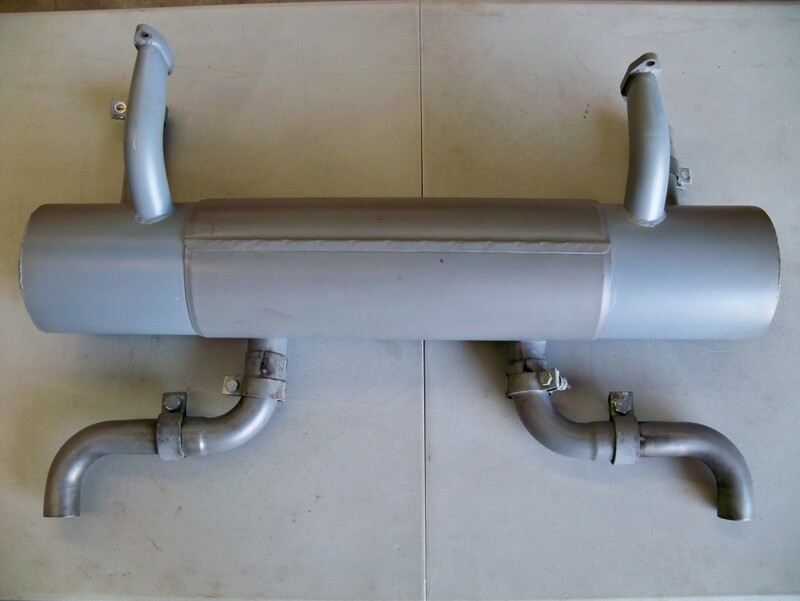 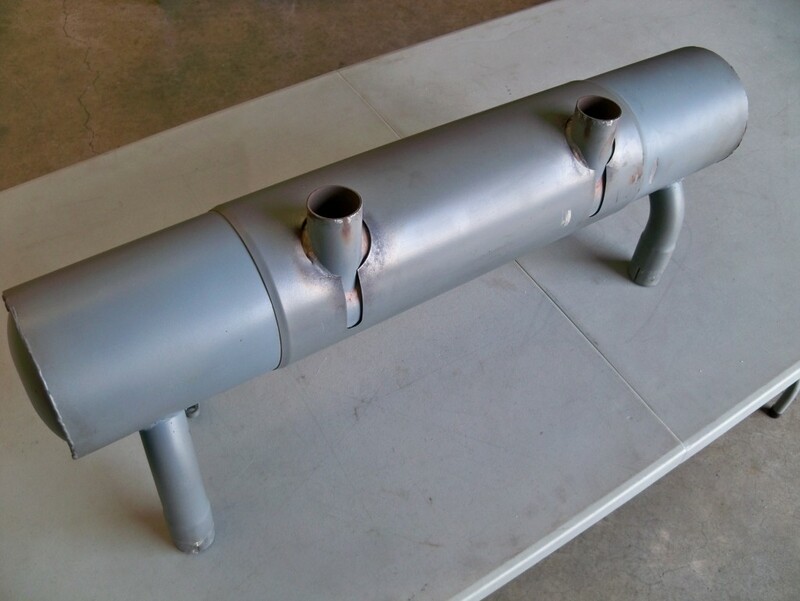 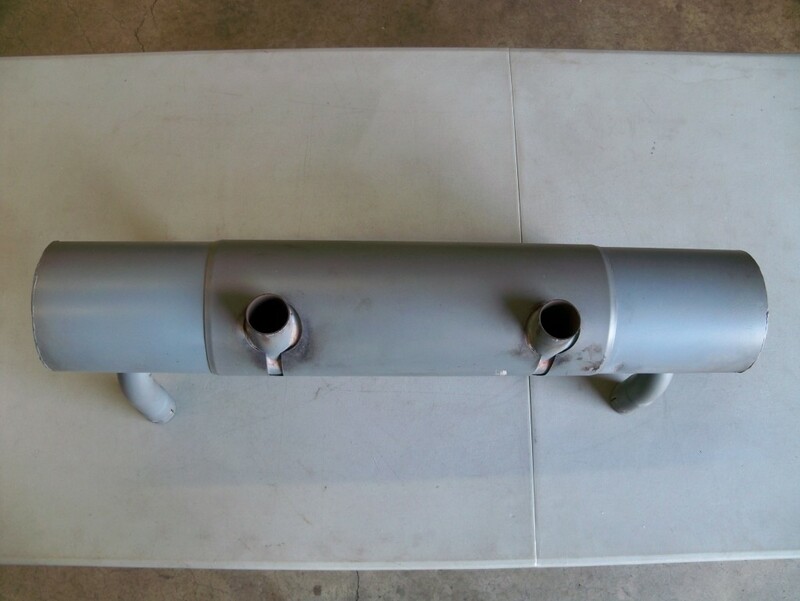 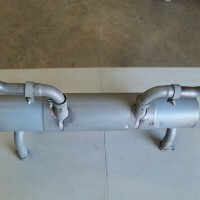 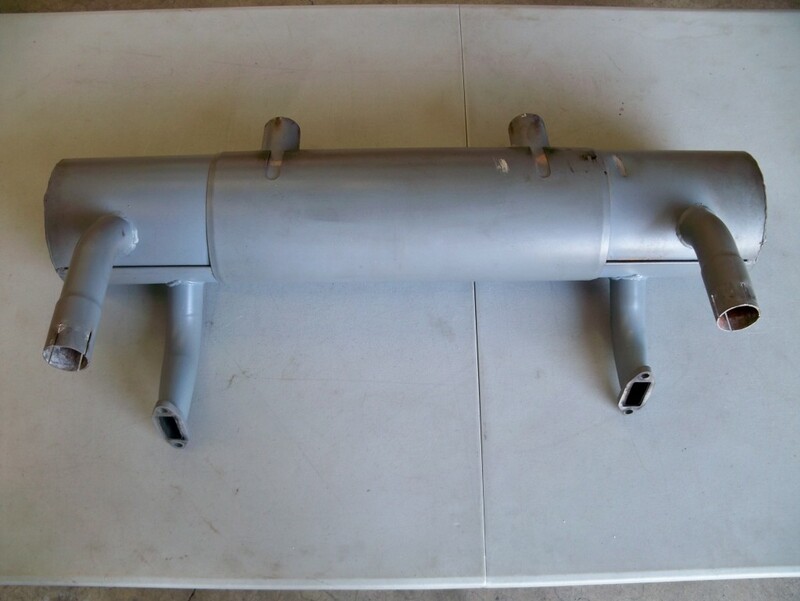 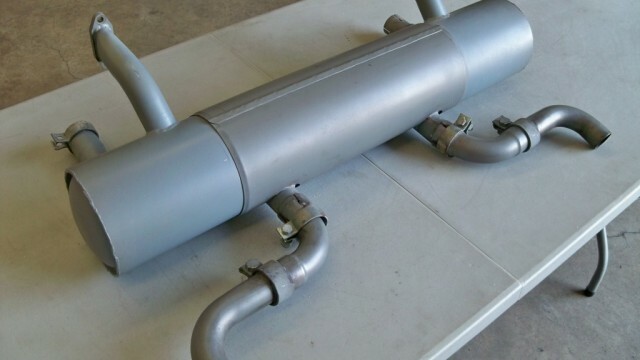 SOLD: Porsche 356A Stock Muffler & Tail Pipe Set » Specialty Cars Service Center, Inc.
For sale is one used jet hot coated Porsche 356A stock muffler, complete with tail pipe set, all in excellent condition. 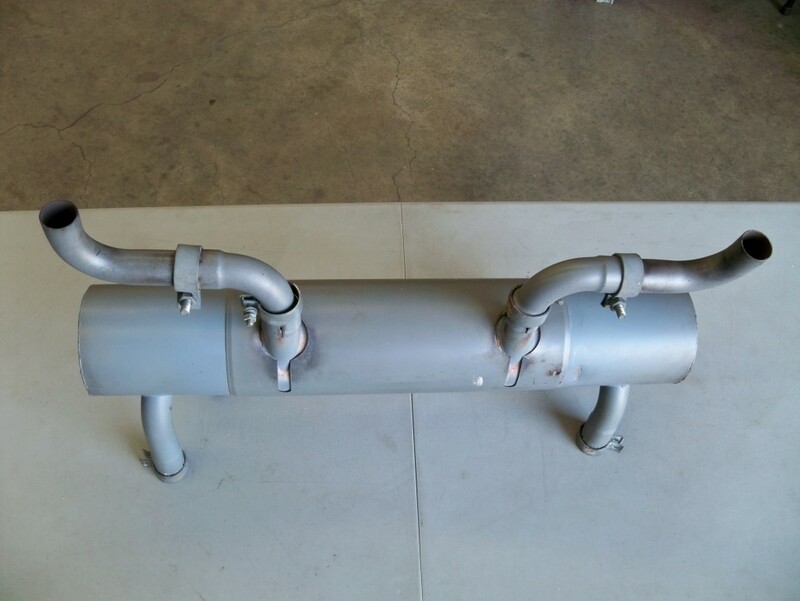 The muffler has less than 3,000 miles on it. 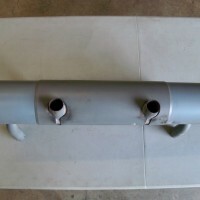 As noted above, the muffler has been jet hot coated. 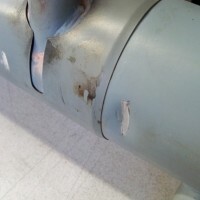 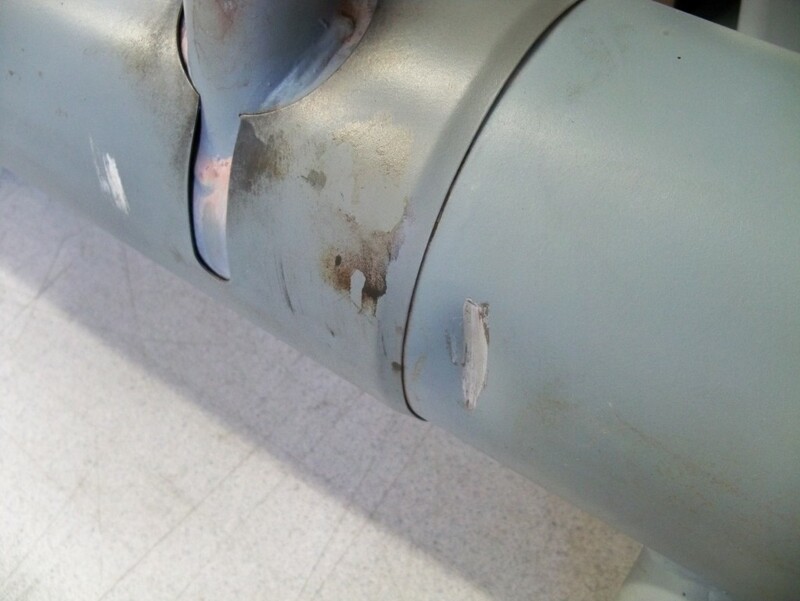 It has one small scratch and dent (pictured), the scratch measures 1.25 inches in length; otherwise in excellent condition. 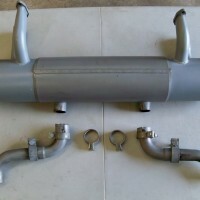 Included are the four tail pipes and six clamps. 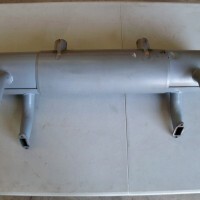 This muffler will fit 1956-59 Porsche 356A.